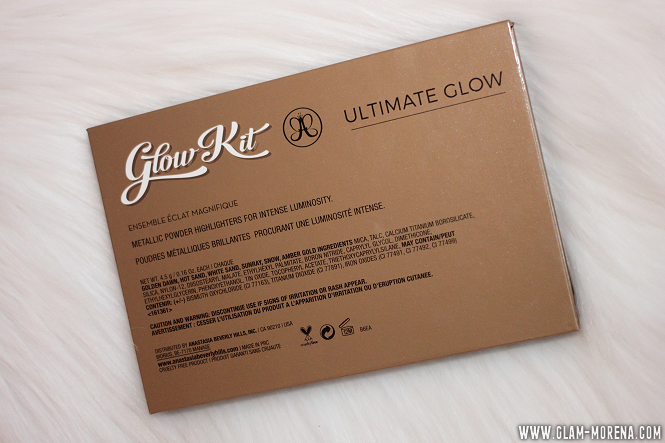 Glam Morena: Anastasia Beverly Hills Glow Kit - Ultimate Glow. 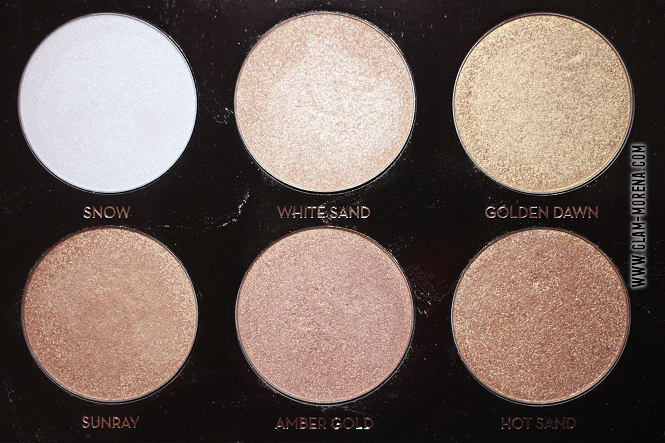 Anastasia Beverly Hills Glow Kit - Ultimate Glow. 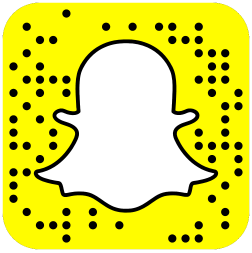 There are so many great product releases for this current holiday season. 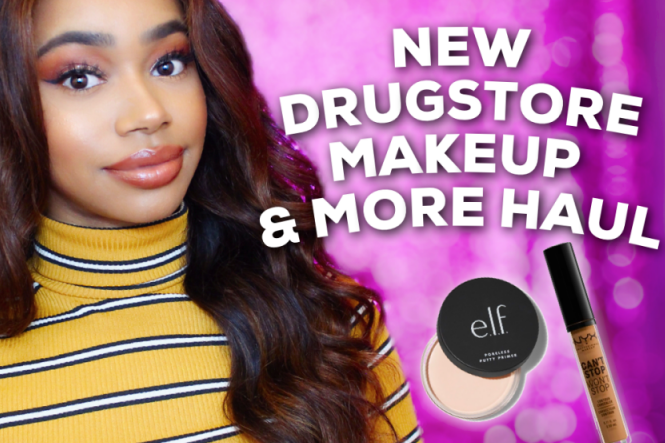 I plan on sharing a few of my favorites products up until Christmas time. 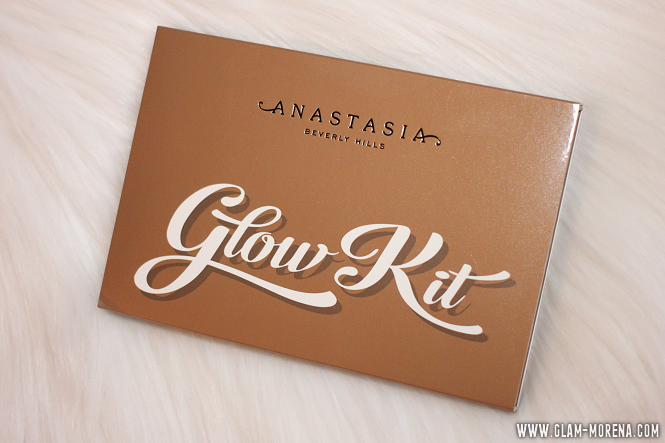 The first item I want to share is the latest Glow Kit from Anastasia Beverly Hills: Ultimate Glow. The Glow Kits normally include 4 highlighters, but this palette includes 6 highlighters. The highlighters are in two finishes: shimmering lustre and metallic pearl. I'm also happy to report this palette does feature a nice size mirror. Keep reading for more information and photos! Description: A collection of six limited edition powder highlighters available in shimmering luster and metallic pearl finishes. Layer shades of Anastasia Beverly Hills Ultimate Glow, or wear them separately, on the face or body for a smooth, even glow that lasts. Ideal for use with Brush #23. The Anastasia Beverly Hills Glow Kit in Ultimate Glow. A close up of the highlighters in the Ultimate Glow Kit. 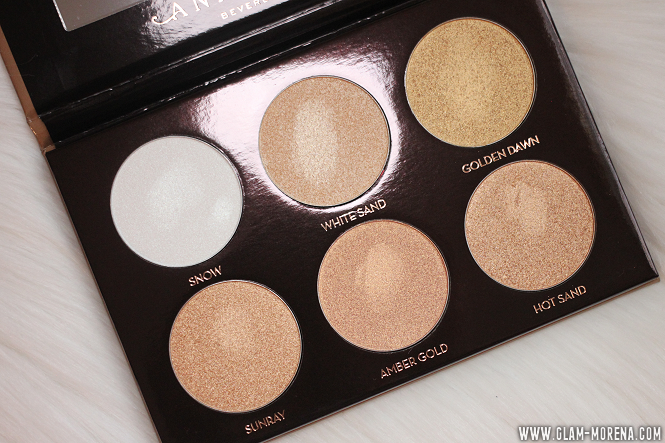 Amber Gold is my absolute favorite shade in this palette! 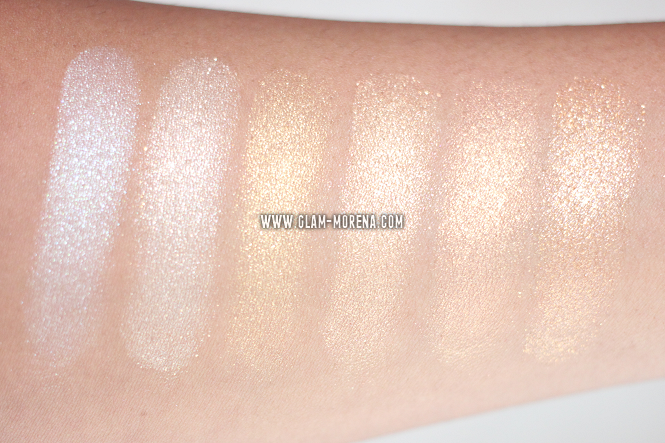 Swatches of the Ultimate Glow Kit from left to right: Snow, White Sand, Golden Dawn, Sunray, Amber Gold, and Hot Sand. Ultimate Glow is perfect for any highlight lover or as a gift to yourself! It is limited edition, so don't wait too long to purchase it. If you are not a fan of metallic, shimmery, or glitter finishes on your face then I would suggest skipping this. Be sure to sign up for Ulta's Ultamate Rewards here to save $10 off your first Ulta purchase! Did you pick up the Ultimate Glow Kit? Thoughts? Favorite shade(s)?